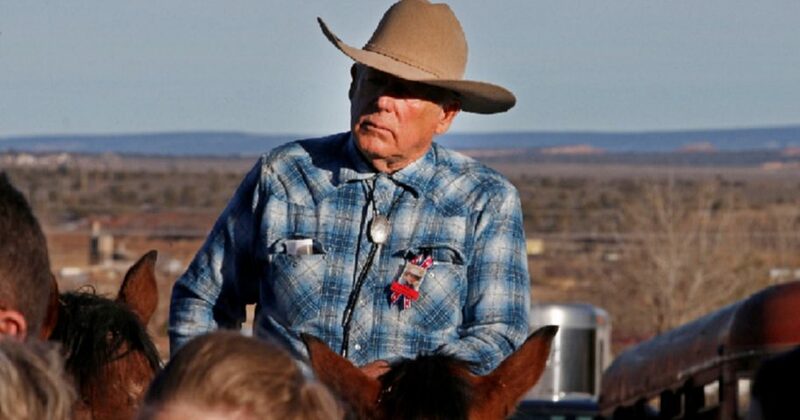 Federal prosecutors plan to appeal U.S. District Judge Gloria Navarro’s decision to dismiss the charges against Nevada rancher Cliven Bundy by Feb. 6, according to a court filing. Navarro dismissed the case against Bundy, his two sons and one other man “with prejudice” on Jan. 8, 2018, preventing the defendants from being retried. Bundy and the others faced 15 criminal charges related to a standoff with federal officials at his ranch in 2014. Department of Justice(prosecutors intend to request the Ninth Circuit Court of Appeals overturn Navarro’s ruling. Assistant U.S. Attorney Elizabeth White requested a 14-day extension to file an appeal with the Ninth Circuit last week, following up two previous requests for a 60-day extension, then a 21-day extension. In an interview with The Daily Caller News Foundation, Bundy said he was ready to go back to court if the Ninth Circuit orders a retrial. Bundy’s case ended in a mistrial on Dec. 20, 2017, after a team of federal prosecutors were found to be withholding evidence from the court that was favorable to the Bundy’s defense. Prosecutors handed over roughly 3,000 pages worth of overdue evidence to the court after repeated requests from the defendants. Former Attorney General Jeff Sessions took notice of the Bundy’s case after Navarro dismissed it. Sessions ordered a DOJ investigation into the potential misconduct of the federal prosecutors, led by former acting Nevada U.S. Attorney Steven Myhre. Bundy said a jury would have found him innocent had his trial been allowed to conclude with the withheld evidence. His case rested on his right to self-defense against hyper-aggressive action taken by Bureau of Land Management officials attempting to impound his cattle. “I have a large family — had a lot of grandchildren that was happy to see me and love me,” Bundy said.